India will be purchasing two state-of-the-art missile defence systems for Air India One at an estimated cost of USD 190 million. 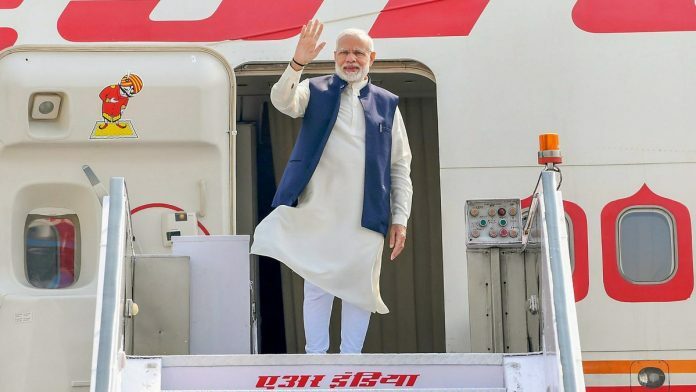 Washington: The US has agreed to sell two state-of-the-art missile Defence systems to Air India One for an estimated cost of USD 190 million, a move that will enhance the security of planes flying the prime minister and the president. According to the Pentagon, the sale will support the foreign policy and national security of the US by helping to strengthen the US-Indian strategic relationship. The Trump administrations approved purchase of the two systems known as Large Aircraft Infrared Countermeasures (LAIRCAM) and Self-Protection Suites (SPS) for an estimated cost of USD 190 million, the US Defence Security Cooperation Agency (DSCA) said in a notification to the Congress on Wednesday. The US decision came after the Indian Government recently made request for LAIRCAM SPS, given the high-level threat to the Prime minister and the President. The Defence systems, which would bring security of Air India One at par with that of Air Force One, would be installed in two Boeing 777 Head-of- State aircraft, the Pentagon said. The Indian Government plans to buy two Boeing 777 from the national carrier Air India for this specific purpose and unlike in the past would not be used for commercial purposes. The purpose of the LAIRCM programme is to protect large aircraft from man-portable missiles. Once installed, the LAIRCAM system increases crew-warning time, decreases false alarm rates and automatically counters advanced intermediate range missile systems, according to the Federation of American Scientists. The missile warning subsystem will use multiple sensors to provide full spatial coverage. The counter-measures subsystem will use lasers mounted in pointer-tracker turret assemblies. It also automatically counters advanced intermediate range missile systems with no action required by the crew. The pilot will simply be informed that a threat missile was detected and jammed. Observing that it will improve India’s capability to deter regional threats, the Congressional notification said SPS will facilitate a more robust capability into areas of increased missile threats. “India will have no problem absorbing and using this system, it said. According to the notification, India had requested to buy two SPS consisting of AN/AAQ 24(V)N Large Aircraft Infrared Countermeasures (LAIRCM), ALQ-211(V)8 Advanced Integrated Defensive Electronic Warfare Suite (AIDEWS) and AN/ALE-47 Counter-Measures Dispensing System (CMDS) to protect two (2) Boeing-777 Head-of-State aircraft. “This potential sale would include twelve Guardian Laser Transmitter Assemblies AN/AAQ-24 (V)N (6 installed and 6 spares), eight (8) LAIRCM System Processor Replacements (LSPR) AN/AAQ-24 (V)N (2 installed and 6 spares); twenty-three (23) Missile Warning Sensors (MWS) for AN/AAQ-24 (V)N (12 installed and 11 spares), five (5) AN/ALE-47 Counter-Measures Dispensing System (CMDS) (2 installed and 3 spares),” the notification said. Also included in this sale are Advanced Integrated Defensive Electronic Warfare Suites (AIDEWS), LAIRCM CIURs, SCAs, HCCs, and UDM cards, initial spares, consumables, repair and return support and support equipment. The department also assured that the sale will not “alter the basic military balance in the region”. The US is the second-largest arms supplier to India. It has already recognised India as a “major defence partner”, a status that which commits the US to facilitate technology sharing with India. In 2018, the US granted India Strategic Trade Authorisation-1 (STA-1) status. India is the only South Asian country to get STA1 status and third Asian country after Japan and South Korea. The status eases defence procurement from US. Last year both New Delhi and Washington signed COMCASA (Communications Compatibility and Security Agreement).